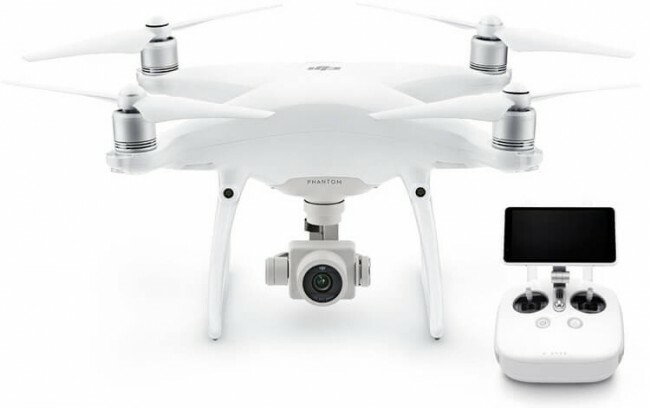 DJI Phantom 4 Pro + je izboljšana različica Phantom 4. Dron je opremljen s povsem novo zasnovano kamero-inch 1 inch in objektivom z 20 milijonov slikovnih pik, ki lahko snemajo 4K kakovost videa pri 60 sličic na sekundo. Kamera ima tudi več snemalni način, ki vam omogoča, da sprejme vrsto posnetkov, nato pa sami izbrete najboljše med njimi. Dron je opremljen z nastavljivim mehanskim zaklopom, ki v celoti odpravlja problem zamegljenih posnetkov med hitrimi leti. Napredni senzorji in slikovni procesorji pri snemanju zagotavljajo izjemen zajem podrobnosti videa. 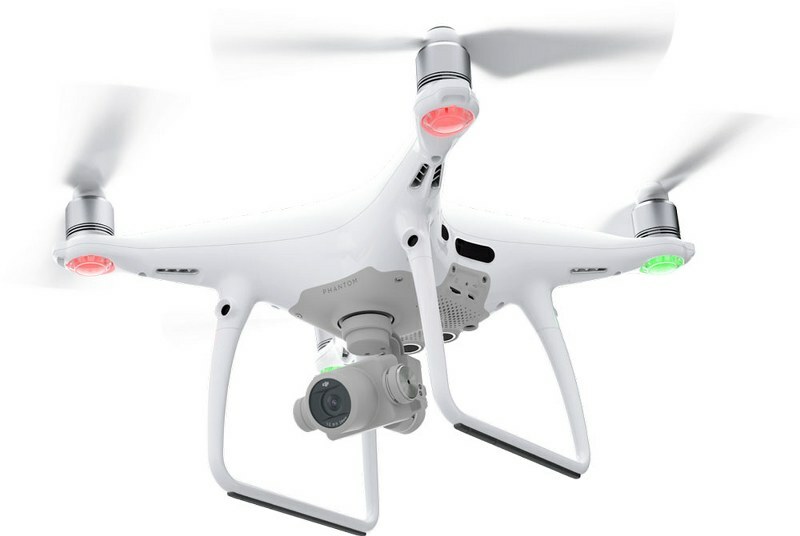 DJI Phantom 4 Pro + is an enhanced version of the Phantom 4 Dron was equipped with a newly designed brand new camera-inch 1 inch lens 20 megapixels, which can record 4K video quality at 60 frames per second. The camera also has a way of burst mode that allows you to take a series of shots, then choose the best among them. The device is equipped with an adjustable mechanical shutter which completely eliminates the problem of image blur during fast flights. Advanced sensors and image processors deliver exceptional amount of detail in the shooting. Constructing a new Phantom is made of titanium and magnesium, which makes it more stable, while its weight is similar to the regular version. 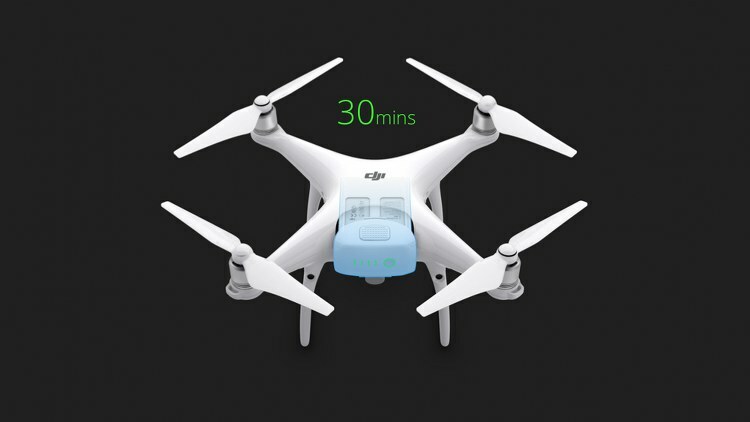 4 Phantom Pro + is equipped with an innovative system FlightAutonomy, cleverly avoiding obstacles. Dron has double vision sensors front and rear, 5-way system for detecting obstacles, as well as a 4-way system to avoid them. As a result, he will have missed the greatest obstacle in its path. During the year, we provide secure recording and creating complex images even in the toughest conditions. Improved controller with integrated display in conjunction with the transfer of HD LIGHTBRIDGE warranty message very clear picture to the fullest extent. Optional transmission frequencies between 2.4GHz and 5.8GHz eliminates any possible disruption and delays during the year. After switching on our Phantom Pro +, Intelligent Time Division Multiplexing analyzes all available signal levels, and automatically selects the transmission frequency with the lowest level of interference. This ensures a smooth transfer of HD with flights to seven kilometers. Specially designed 5.5-inch screen offers a brightness of 1,000 cd / m2, which is more than twice the normal screen. 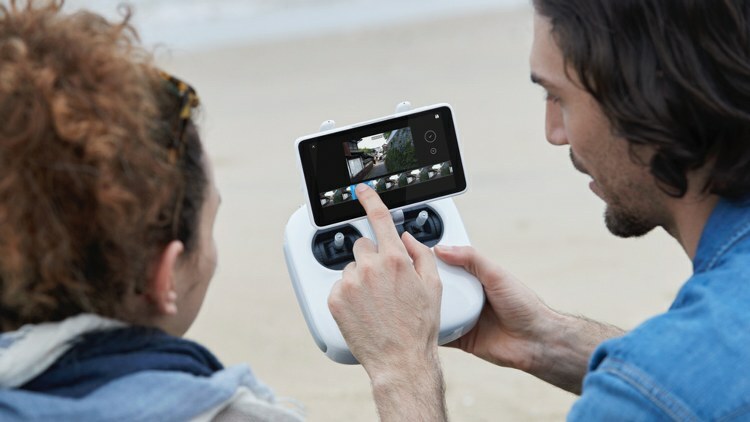 This makes all the colors are vivid and easy to see even when viewing in direct sunlight.Built-in applications DJI GO enables full optimization of hardware and software. The controller is equipped with an HDMI port, SD card slot Micro, microphone and speaker. You can edit photos directly from the DJI GO and Wi-Fi, it is possible to send them instant. Draw is a completely new, innovative technology enables to control in the next stage. Just draw on the line of touch screen and Phantom 4 Pro + will follow in this direction, while maintaining the overall stability. This allows us to directly focus on surveillance cameras, creating a more complex approach.There are two modes: standard - drone moves at a constant speed, the machine facing in the direction of flight. Free - Dron moving route is set. In this mode, the device can be returned to the drone flying in any direction. In this mode, the Phantom 4 Pro + automatically identifies objects by crops and followed when they are in motion. This allows the creation of complex images is much simpler. After the fast-moving objects, it is often a challenge, however, advanced algorithms for image recognition, which are used in Phantomie, allow the capture and tracking of an object by keeping all the time in the frame. The new algorithm identifies a number of different items from people finishing cars and animals. Fly in all directions shown on the screen with a single click. Touch anywhere on the screen to smoothly adjust the direction of flight, while automatically avoiding obstacles. More change the direction tap or use the appliance control. AR novelty shows the direction of flight in real time. TapFly ago - Tap to fly in the opposite direction to the touch. Tap the bottom right corner of the screen to return to the upper-left corner of the screen. TapFly Free - Lock the direction of flight is not blocking the Phantom camera, which allows it to be rotated in all directions between *. 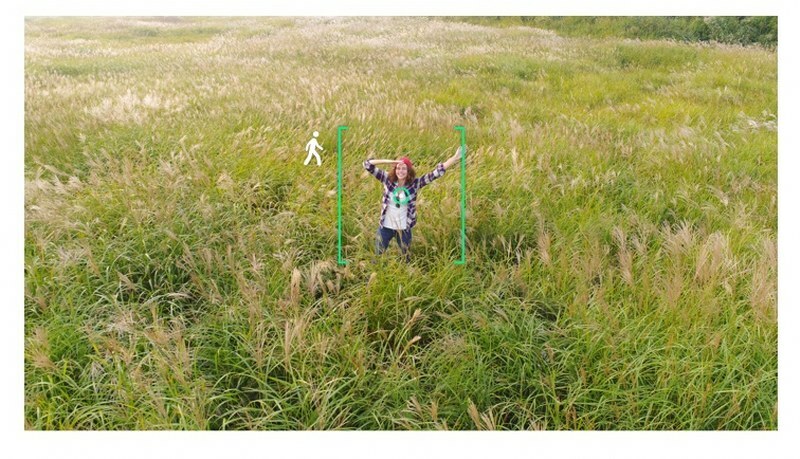 An enhanced version of Return to Home may Phantom 4+ automatically selects the optimal way home, taking into account various factors such as terrain. Phantom records the history of the route during the year, enabling it to be brought back by the same route, avoiding all the obstacles, if there is no signal from the controller. Dron be recorded landings, and compare it with previous ones, so as to adjust the landing as accurately as possible. 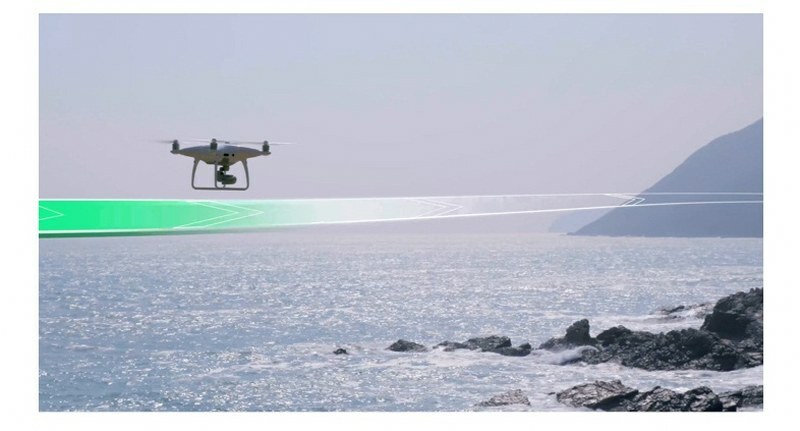 Phantom 4 Pro can also analyze whether it is appropriate landing.When you encounter obstacles such as water on the earth, drones warns about this and rises at a safe distance, waiting for traffic and safe landing. Using gesture control, image 'selfie' can be done by doing some simple gestures without using the remote control. 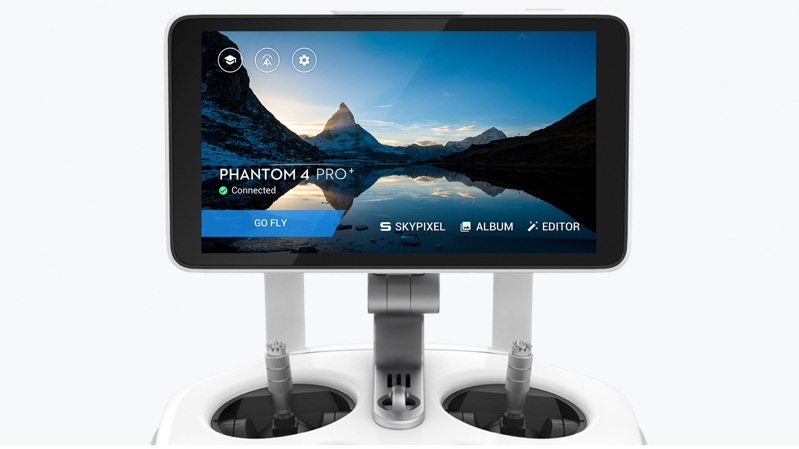 Advanced technology vision allows Phantomowi 4 Pro + receive instructions via gestures. Just raise your hands in the air, standing facing the camera, and it will automatically recognize this move and put us in the middle of the frame. Then we signed weapons and equipment will begin a three-second countdown to shoot. Different aerial photographs require different ways of flying. 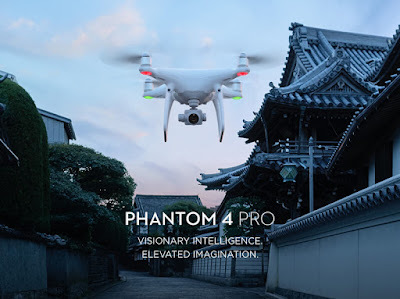 4 Phantom Pro + offers three modes of flight: position, Atti and sports. In mode positions are enabled mode, TapFly and ActiveTrack and obstacle detection and stabilization of positions are available. Sport mode improves maneuverability Phantom and increase its speed 72km / h, while maintaining their functionality and still allows precise avoid obstacles and precise positioning. During the stabilization ATTI TV is turned off and the amount retained. This is the ideal choice for experienced pilots, who want to capture smooth materials. In the method of the tripod, the speed is limited to 7 km / h, in order to ensure a precise framing indoors.Sensors to detect obstacles and vision sensors are available in these ways to safely enjoy the years. Improved Video Transmission System Operators DJI LIGHTBRIDGE HD allows you to broadcast live in HD without interruption up to 7 kilometers. Before every flight is scanned and the range of available frequencies in order to find the one with the least interference. 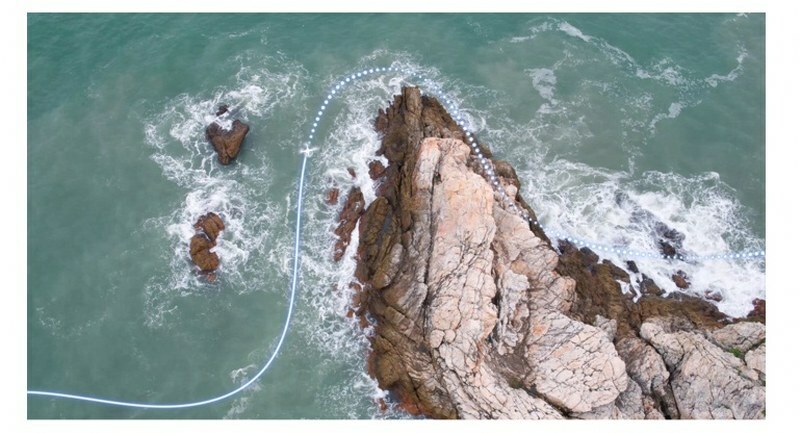 Closely linked to DJI GO applications LIGHTBRIDGE system sends statistical data in real-time flight, as well as photos and videos on connected mobile devices. LIGHTBRIDGE uses advanced technology to download and can automatically adapt to the weather conditions. 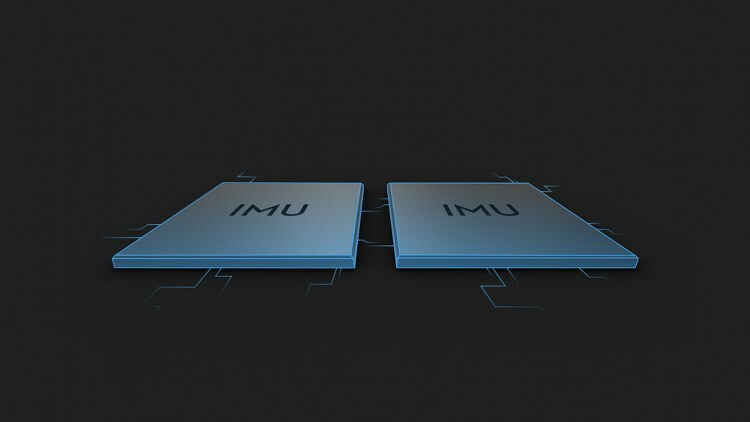 4 Phantom Pro has two modules, enigmatic and double IMU units, making it more reliable in comparison to many other multicopterów. Compasses and IMU are important sensors that provide stable flight and is constantly analyzing all its parameters. Advanced algorithms consider all valid and invalid data, to maintain the security and accuracy of the year. Create professional-looking shots in the air requires a longer flight time. Maximum length Phantom years 4 Pro + is 30 minutes, which has had more time to make the perfect shot. 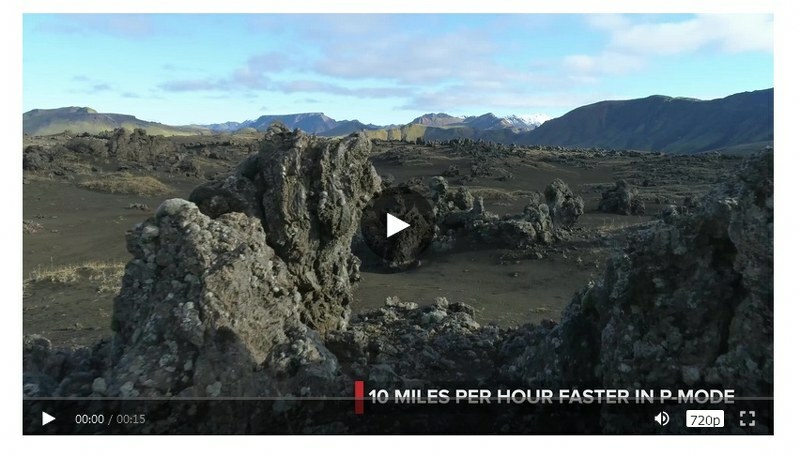 Use DJI GO shows the level of battery charge and calculates the remaining flight time, based on the distance traveled and the number of other data. The role also reports having reached the minimum distance required for a safe return to the starting point. An advanced battery management system prevents the battery from overheating and its excessive discharge. When stored for a longer period of time, precipitating the battery to extend its life. When shooting with the apparatus of surveillance is responsible for most aspects of monitoring, such as piloting and pruning. More complicated shots requiring streaming live video view and analysis of the flight and advanced settings in real time. 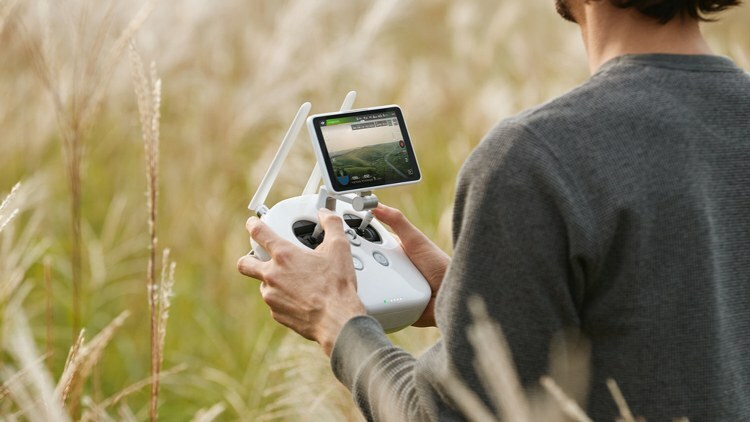 Role DJI went optimized for long-haul flights and is updated regularly during the year to ensure stability and proper operation of all functions. This may be associated with mobile devices and is also the option of integrating the monitor CrystalSky DJI, which makes it easy and convenient to manage. Using GO DJI choose from a vast number of intelligent ways of flying. The app also allows unlimited access to manually adjust the camera settings (including IOS, aperture, shutter speed), image files, and many other things. Any changes that we make in the DJI GO appears on the screen almost immediately. Parameters flight status and video transmission can be easily checked in the application, which gives us more effective control and comfort. 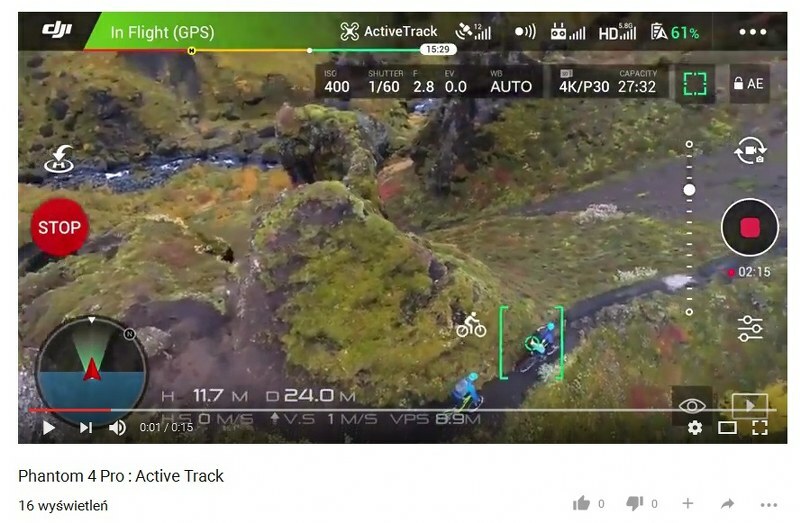 DJI GO has many features fast editing and sharing of our material on social media. It is also possible to share live on our flight. When each flight path and the data is automatically saved and synced to DJI GO that could at any moment have easy access to them. Statistics of years and all the data, it is easy for storage and later viewing.